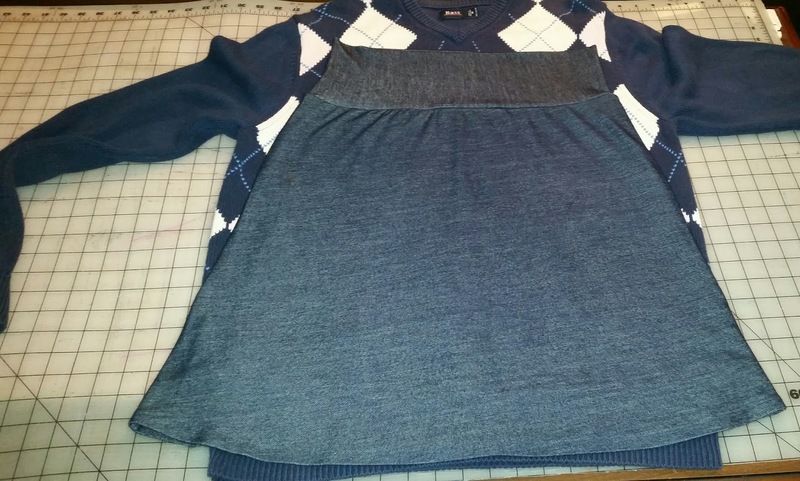 I am part of Sew Much Talent Thrift Store Remake Challenge over on Facebook which is so fitting, since I love to refashion. I must admit that my refashions have always been minimal, so this challenge is just what I need to get out of my minimal refashion rut. 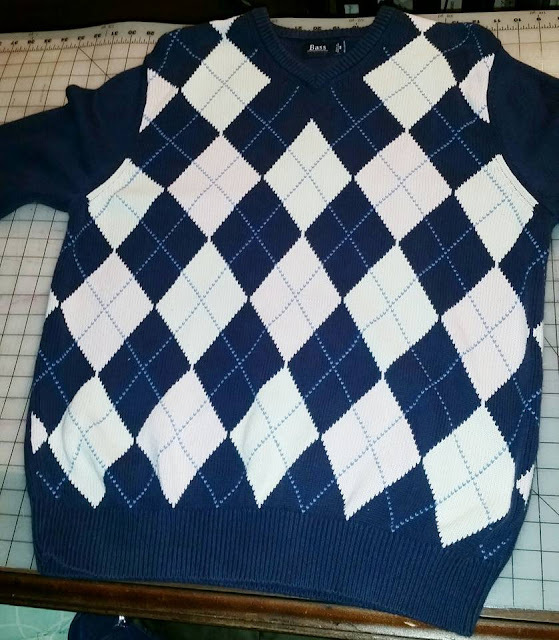 The rules of the challenge is to spend $25.00 on thrift store items and refashion it. 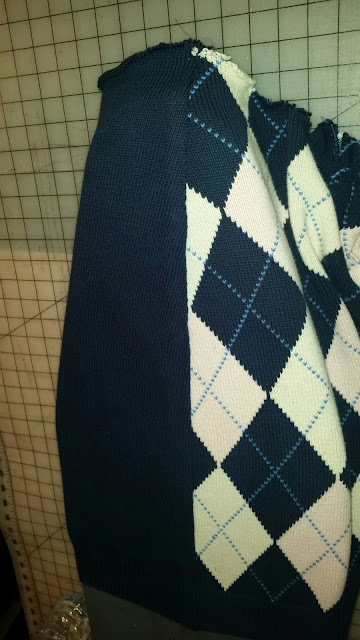 One of my thrift store purchases was an argyle pullover sweater for $4.99. Love me some argyle and this Sweater is perfect for making a skirt. I followed Trevor Loves Mommy tutorial. The sweater was washed and air dried. I used a skirt that I made previously as my template for cutting out the sweater skirt and the same for the lining. The side seams were serged and had to straighten out the curvature of the skirt length, then straight stitch. 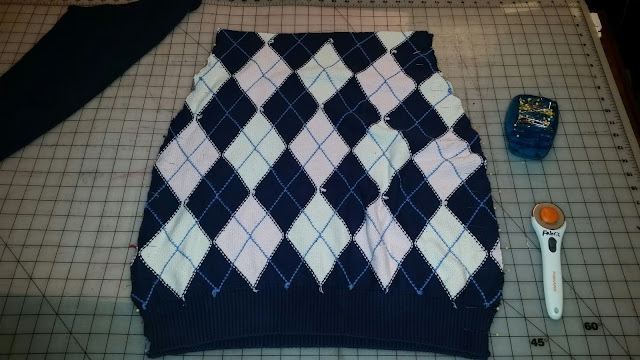 Basted the lining to the skirt at the waist. Attached a 1.5" non-roll elastic to the skirt waist and hemmed the lining. What remains is flipping the elastic to the inside and stitching it down and another pressing. 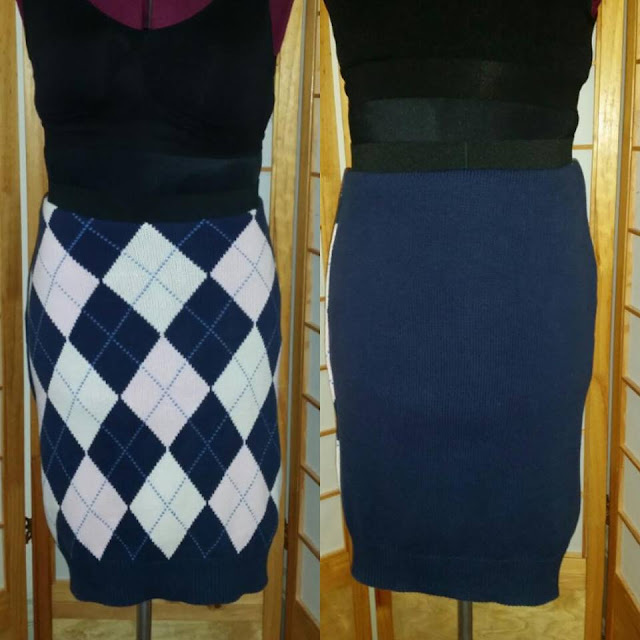 I am auditioning the skirt to pair with a pullover over lace top that I refashioned by removing the sleeves and replacing with knit sleeves. Gorgeous! Now I hope I can find a sweater like that too. Thank you Faye ! I've pulled out several garments that I want to refashion. Hoping I don't overwhelm myself. Looks great. I vote for leaving the top as is, at least for 6 months until the whim hits you again. lol. Love that refashion! How creative and stylish! I would never think "skirt" when I see a sweater, but you made it work. Absolutely brilliant! I think that the top looks perfect as is. Thank you Syl and thanks for your suggestion. Thank you Irene and for your suggestion. I'm loving your refashions! And, I'm grateful that you accepted to be one of the facilitators for this challenge! Thank you Alethia! It was a pleasure and Honor... Thank you!